By the end of last year, more than 2 billion people were actively using Facebook on at least a monthly basis. Instagram, meanwhile, serves about 800 million active users a month. Users of Snapchat upload approximately 10 billion videos daily. WhatsApp has about 1 billion users a month. So what does all this have to do with your South Florida injury lawsuit? Your mental/ physical condition or well-being prior to and after the incident. Because a serious injury resulting from something like a car accident or a case of medical malpractice or a criminal attack is something that – of course – affects us very profoundly, it is understandable that many people share those details online. It’s almost become like second nature in this increasingly digital age. But as the recent Congressional hearings of Facebook CEO Mark Zuckerberg reveal, there is an increasingly limited expectation of privacy regarding what we share on our “personal” pages – even when we limit privacy settings and contact lists. As noted recently in an analysis by the Florida Bar Association, the Florida Code of Evidence lacks any specific directives regarding authentication of postings on social media or even text messages. Yet these items are often presented as evidence in all kinds of cases – both criminal and civil. In general, the rule is it’s admissible if it’s relevant to proving or disproving material facts and the probative value outweighs any unfair prejudice or confusion. Any check-ins you make, timed geo-tags, photographs or comments – all of that may be subject to review. As South Florida injury attorneys in West Palm Beach, we know there is some case law that has proven relevant on this front. For example, the 2014 ruling by Florida’s Second District Court of Appeal in Root v. Balfour Beatty Const. involved a question of propriety in an order compelling production of plaintiff’s Facebook pages during discovery. The claim was for loss of consortium following the alleged wrongful death of plaintiff’s 3-year-old son, and defense sought electronically-stored evidence pertaining to information that would be telling as to her mental health, alcohol use and interpersonal relationships. The appellate court weighed whether this discovery order was overly-broad. While noting courts across the country have allowed relevant social media posts time and again, this order should have been limited to evidence that related to impact of the loss of the child on the plaintiff. Because the order compelled all other sorts of information, the order was quashed, but the court noted that if further information emerged that suggested these posts might be relevant, the trial court could revisit the issue. In a 2015 slip-and-fall lawsuit in which plaintiff claimed physical and emotional injury, Nucci v. Target Corp., the Fourth District Court of Appeal rejected plaintiff’s appeal arguing against release of all photos on her Facebook for two years prior to the fall. Plaintiff argued this violated her privacy, but the appellate court disagreed, ruling this content was neither protected nor privileged and that the order compelling production was reasonable in scope to result in admissible evidence that would relate to plaintiff’s physical condition. This ruling was important because it established that plaintiffs in Florida personal injury lawsuits do not have privacy and discovery of the content – where it proves or disproves an injury – can be compelled. 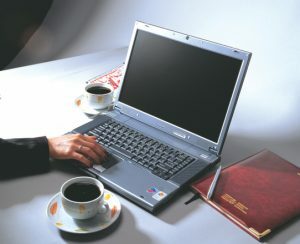 Because these platforms are so widely used and have the potential to be goldmines – for both defendants and plaintiffs – it’s important that your injury lawyer or wrongful death attorney advise you on this potential and how best to conduct yourself online to prevent unintentional damage to your case.